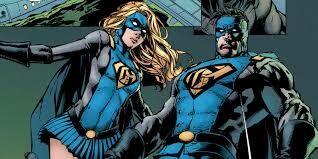 Hello, and a fine DC World welcome to all fans of the DC Universe and readers of the site. It’s time for another edition of “Confessions of a DC Geek” but, before we get started I have a thank you message for Adam Carr who (now here’s an ideal superhero name for him) is our Tech-Man. Apart from dealing with all things website related, Adam has also created the new banner for this segment of the site and, as you can see above, he has done a cracking job and it looks mighty fine. Therefore, my many thanks to Adam for his sterling work. Now, on to Edition 11’s victim participant, Jordan Valdés who, as you will see, is a big DC fan and, up until now, the youngest Confession-er! Sincere thanks to Jordan for coming forward and putting his name in the hat for this edition and, if like him, you would like to take part then please see the contact details at the end of this interview. JW: My name is Jordan Valdés. I’m 19 years old and live in the U.S. in Atlanta, GA, where I am an insurance agent by day and podcast co-host (of Multiverse Musings: A DC Comics Podcast) by night! I’ve been a DC fan for as long as I can remember. I had a ton of DC content on VHS as far back in my childhood as I can recall that I loved to watch. However, it was when the animated series The Batman premiered in 2004 that I truly became a DIEHARD DC fan! Batman! He’s always been my favorite! I’ve always loved the more street-level stories that you often get with Batman. I consider him the most noble of all the superheroes. He suffered a terrible tragedy and believed he could never again find happiness, so he dedicated his life to making sure others wouldn’t suffer the same fate he did so that they COULD live happy lives. The Joker! He’s the perfect foil for Batman! Whereas Batman suffered a terrible tragedy and used it as fuel to become a hero, The Joker suffered a terrible tragedy and succumbed to madness. Catwoman! 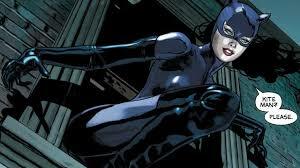 She’s just behind Batman for me when it comes to my favorite fictional characters. I’ve love how even though she’s a thief, she has a huge heart, and at the end of the day she does the right thing and is a hero. 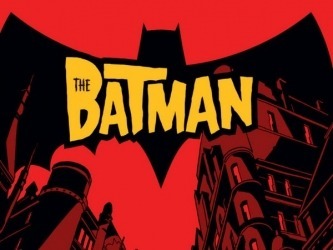 My favorite live-action DC TV show is Smallville, and my favorite animated DC TV show is The Batman! They both had profound impacts on my life! 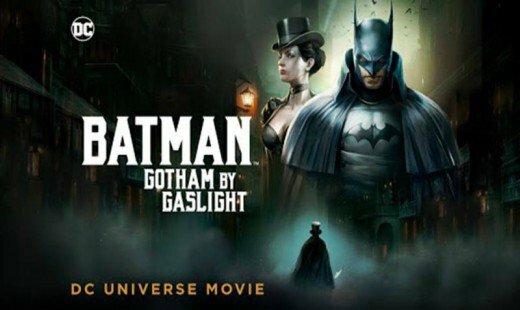 My favorite live-action movie is The Dark Knight Rises, and my favorite animated movie is Batman: Gotham by Gaslight! It’s no coincidence that they both focus heavily on the BatCat relationship, which I adore! Christian Bale! 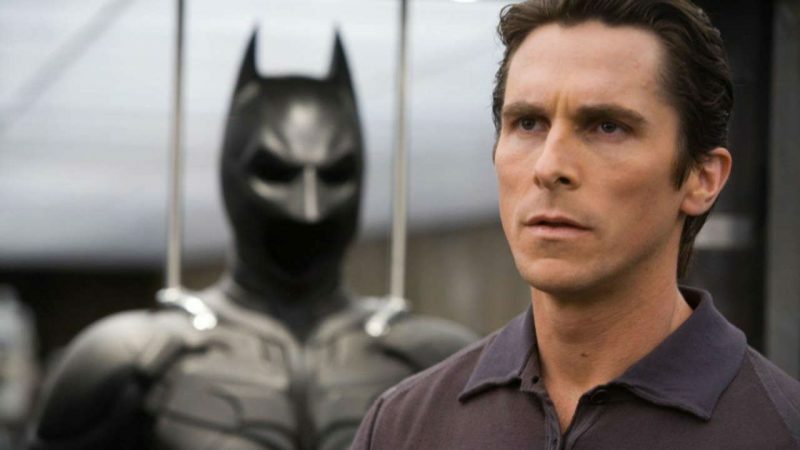 He did such an phenomenal job as Batman and Bruce Wayne in The Dark Knight Trilogy, brilliantly portraying all sides of the character, and I’ve loved many of his non-DC roles as well! 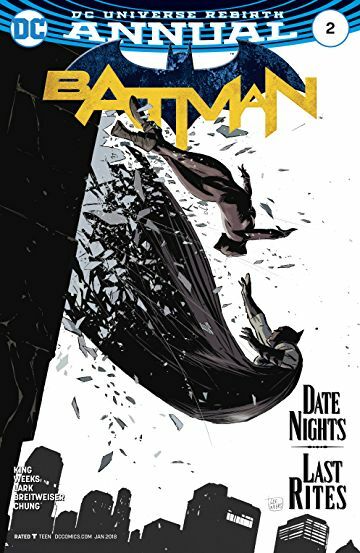 Indeed I do read them, and indeed I do have a favorite: Batman (2016-) Annual #2! Not only is it my favorite comic book ever written; it’s my favorite piece of fiction period! It’s an absolutely beautiful love letter to the BatCat relationship! 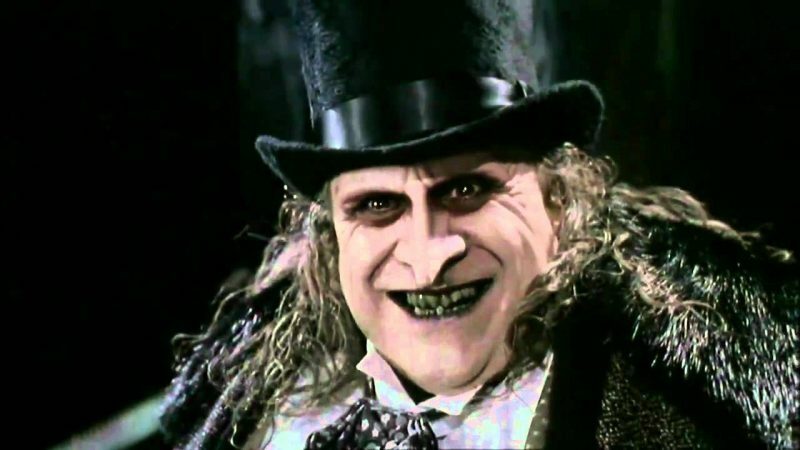 CQ1) Batman Returns – The Penguins’ origin was completely changed for this movie, we see that he is raised by penguins, eats fish etc. (Penguin by name, Penguin by nature I guess). However, this is seen by some as a controversial change to characters’ origin; what are your thoughts on this? I loved what they did with The Penguin in Returns! They took a villain who I typically am not a huge fan of as he’s usually portrayed and made him so interesting. At different points in the film, he’s hilarious, scary, and tragic, and Danny DeVito was great! 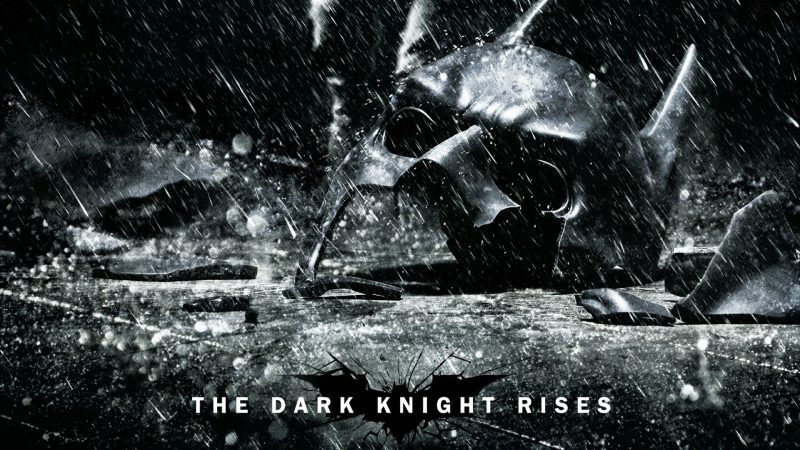 CQ2) Green Lantern – Considered to be one of the least enjoyed DC Movies released. As it stars Ryan Reynolds, and he now appears as Deadpool, do you consider his mocking of the GL movie appropriate or do you feel that he should be more considerate if and when he talks about it? 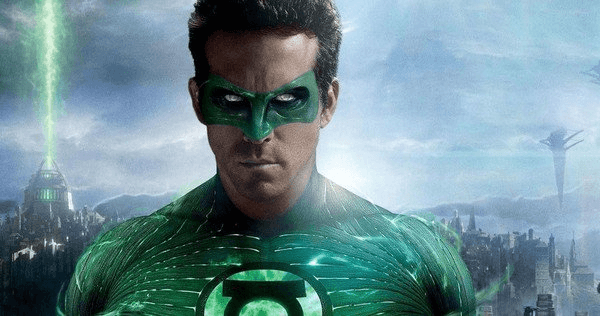 I actually really like that Green Lantern film, so personally I don’t think it deserves to be mocked, but it’s Reynolds’ film, so it’s certainly his prerogative to do so if he wants to in my opinion. There’s no need for the rivalry. 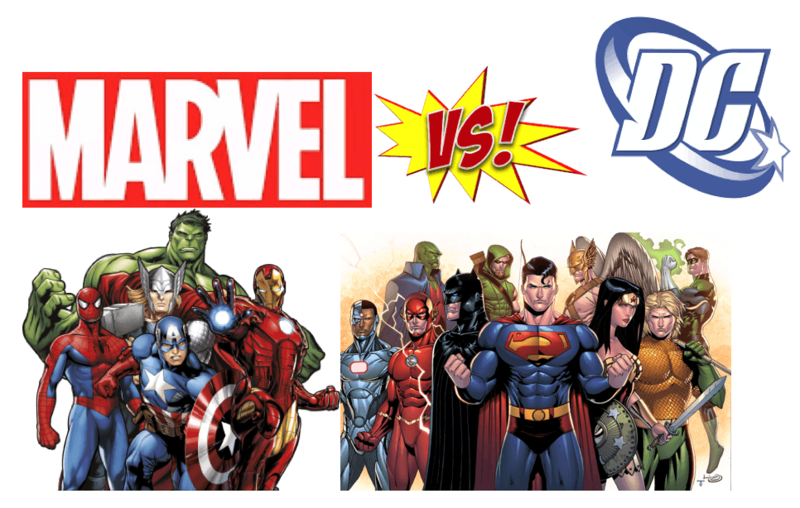 You can like one more than the other (I totally prefer DC to Marvel), but it’s absurd to me that some fans of each feel the need to put the other one down. The truth is the success of one benefits the other and vice versa. 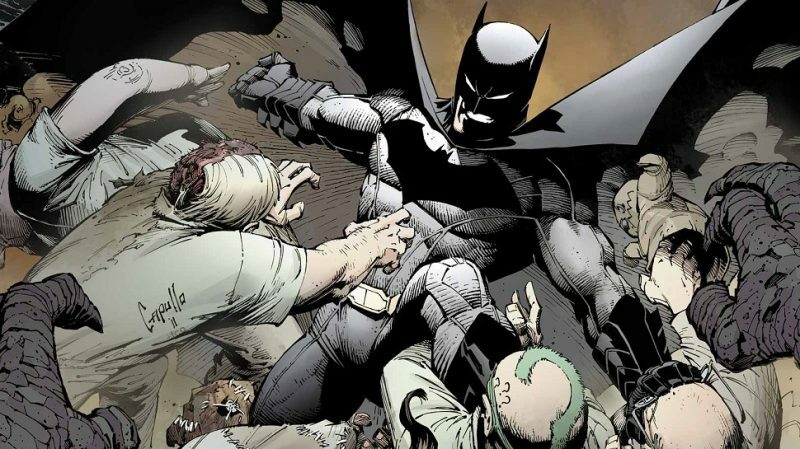 My name would be The Batfury since that’s my name in DC Universe Online, my suit would be armored and all-black, and if I’m able to choose my powers, then I’d want a Martian’s power set, since they have so many and such strong abilities! I do indeed attend cons! I’ve only been to a couple different ones though, and those are Dragon Con and The Atlanta Sci-Fi and Fantasy Expo, both of which I love! You can follow me on Twitter and Instagram @batfanjordanv, and you can find the podcast I co-host, Multiverse Musings: A DC Comics Podcast, here: https://multiversemusings.podbean.com/ or on iTunes or TuneIn! I collect large amounts of various and random DC merchandise! I would say that the type of item I have the most of in my collection are action figures, though. 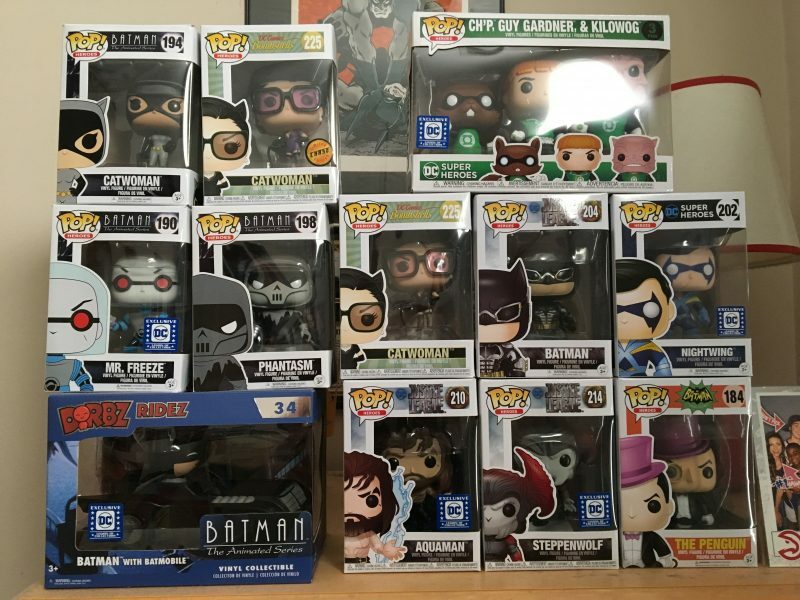 My collection covers pretty much every corner of the DC Universe, but Batman is the character who is most-represented, as he’s my favourite! 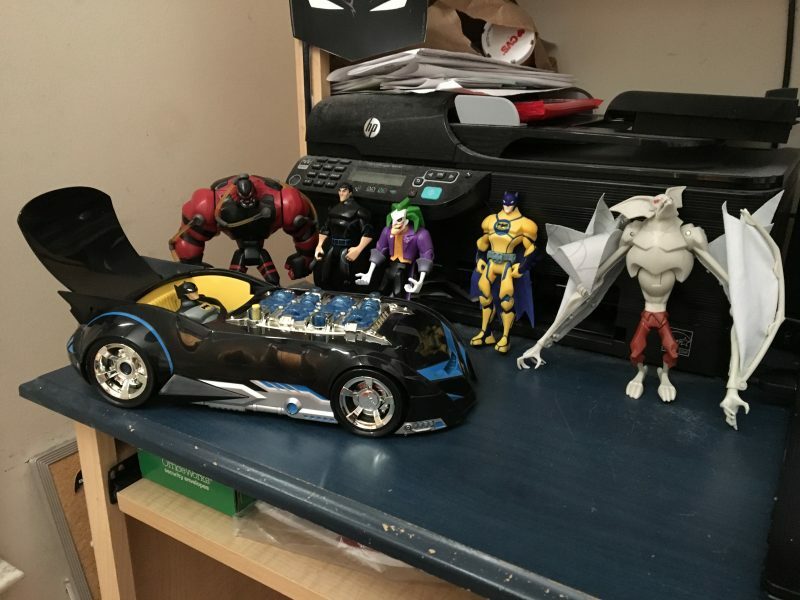 My action figures and Batmobile from the animated series The Batman are my most prized possessions, since as I brought up earlier, that was the show that made me a diehard DC fan! I have some collectible caps from DC Crazy Foam shampoo cans that are kinda strange (but cool)! I bought them because I have a problem where I have trouble NOT buying something DC-related if I see it at a store! I’ve got some old Silver Age Batman comics that were gifted to me! I’ve also got a limited chase edition DC Bombshells Catwoman Funko Pop! vinyl figure! 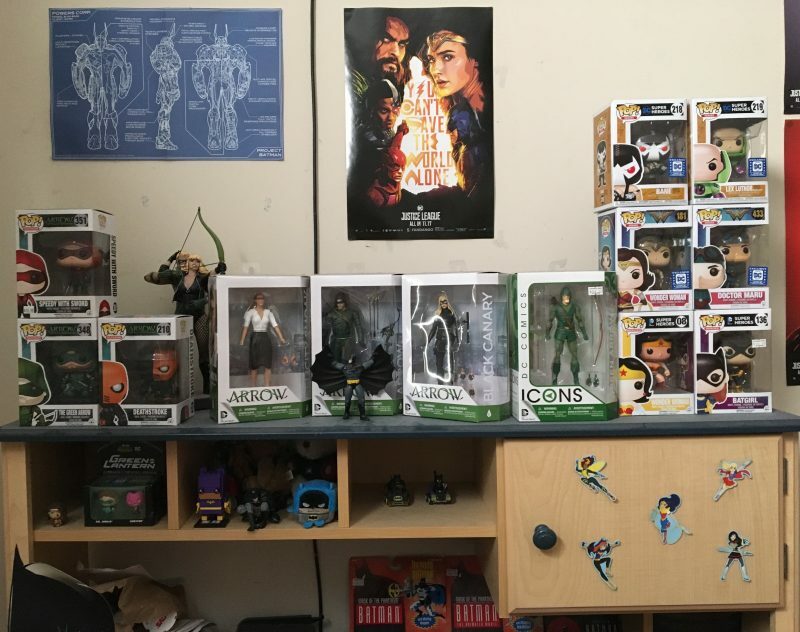 My go-to item for showing off my collection would probably be my DC Comics Designer Series Green Arrow/Black Canary statue! 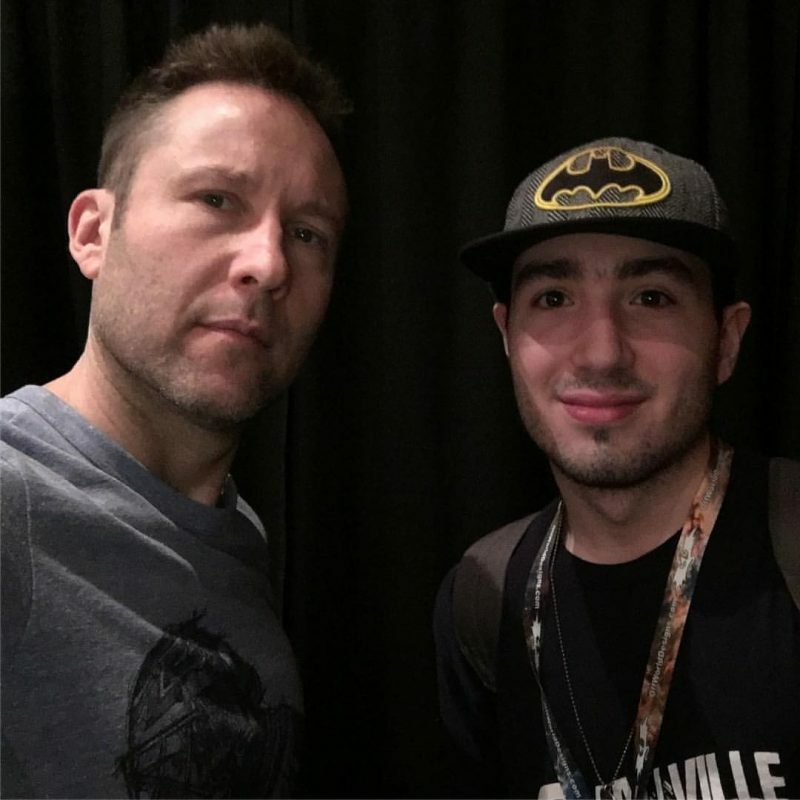 I more so go to conventions for celebrities (I got to meet Michael Rosenbaum at Dragon Con last year, which was amazing) and panels, but I do look for merchandise as well! The biggest items would probably be some of the posters that I have, and the smallest items would probably be my pins! There aren’t any items I regret buying, but there are definitely items I regret NOT buying! Cheeky question, but what is the most and least expensive item that you have added to your collection? The most expensive item I have is probably my aforementioned DC Comics Designer Series Green Arrow/Black Canary statue. My least expensive item is probably a tie between some of the pins that I have. And so, another “Confessions of a DC Geek” ends. Many thanks to Jordan for giving us another entertaining interview, always much appreciated when readers and DC fans get involved in this. I have no doubt that you will all agree, Jordan deserves the title, as all the others who have taken part, of DC Geek or, as it should be for this website, DC World Geek. Please feel free to leave any comments below if you like what you see, or you can always comment on our social media pages. Once more, my thanks to Jordan and thanks to all who visit the site and read this segment, very, very much appreciated.